Uruguay’s President Tabare Vazquez has reiterated his government’s commitment to continue the legalized sale of recreational cannabis in pharmacies, despite protests by banks worried about running afoul of international regulations. The country’s ruling party, the Broad Front, has been dealing with controversy after popular former President Jose “Pepe” Mujica denounced the country’s banking industry for refusing to work with pharmacies who legally sell cannabis. Vazquez has sought to quell the debate about the future of the law, ruling out any return to policies of prohibition. “He’s completely right to defend this law … We will continue taking the necessary steps to ensure this law can be applied correctly, without damaging the country’s economy or investments,” said Vazquez, according to El Observador. Banks have complained that any involvement in the country’s cannabis industry would prevent them from carrying out transactions with their international counterparts due to regulations outlawing the acceptance of money tied to drugs, leading to the financial isolation of their clients. “As a global bank with clients in various countries, we have to observe the various norms in force in those places,” a source with Banco Santander of Spain said. In response, pharmacies are warning that they may need to cease cannabis sales due to the banking restrictions. The anti-prohibition law was introduced by Mujica and went into effect in 2013. The former president argued that legalization would stem violence and crime by undermining illegal drugs trafficking and organized crime while also promoting education on the substance, which would result in its responsible usage. The law gave Uruguayans above the age of 18 three options for obtaining cannabis. Users could either grow the plant at home, form cannabis clubs or collectives to produce and distribute the bud among members, or directly purchase it from pharmacies. 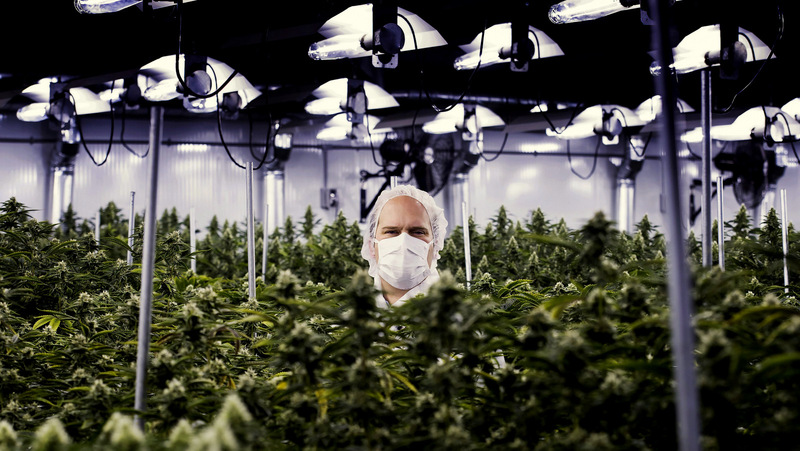 Two state-directed private companies also produce cannabis, which is sold to customers limited to the purchase of 40 grams per month. Two varieties are available for customers in a smokeable form, who can buy five-gram packages at a rate of US$1.30 per gram. Cannabis-infused products commonly known as edibles, which are popular among medical users, are not widely available. While reform advocates and social movements greeted the law as progressive and innovative, the law remains unpopular among most Uruguayans. Out of 3.4 million citizens, only 12,000 people are registered users. “If this gets blocked, then the whole Parliament will be blocked,” warned Mujica, now a senator, whose Broad Front party has a majority in the legislature. Julio Calzada, an architect of the law, said the country must reach out to financial institutions in the U.S. states like Colorado and Washington, where recreational cannabis is legal, to find ways to circumvent the international legal restrictions. Similar issues have arisen in the U.S., where state laws regulating cannabis sales conflict with federal laws. In Uruguay, however, businesses are reliant on their banks due to laws requiring that all employees be paid by direct deposit.